Federal prosecutors described a horrific case of an illegal alien, who's a member of MS-13, having viciously tortured an American in Tennessee. The epidemic that is known as MS-13, or “Mara Salvatrucha” gang, has reached inner Nashville into Antioch, Tennessee, where one of their members faces numerous federal charges for torturing a man inside of a rental home. Law enforcement says that the case surrounds 31-year-old Gerson Serrano-Ramirez, of El Salvador, who is a known MS-13 gang member and a previously convicted felonious offender. Serrano-Ramirez is alleged to have been a powerful narcotics trafficker in the area and used the vast amounts of cocaine he distributed to gain influence in the community. According to the U.S. State Attorney's Office, Gerson Serrano-Ramirez premeditated the federal crimes he's now charged with. Drunk, immature, and screaming; Serrano-Ramirez and other MS-13 members poured liquor bottles on the ground at a local nightclub, when a Good Samaritan asked him to stop disrupting the business of his friend. Serrano-Ramirez didn't appreciate the embarrassment of being publicly called out, and would later manipulate the man into coming back to his home. When the man went inside, Serrano-Ramirez pistol-whipped him, sending the man to the floor. As Serrano-Ramirez screamed at the victim, he strangled him with the rifle strap, sprayed bleach into his eyes, and attempted to suffocate the man with a plastic bag. The entire time, Serrano-Ramirez held a gun point-blank to the victim's temple, punching him repeatedly. Finally, Serrano-Ramirez pried the man's fingernails off with a pair of pliers, all while holding a firearm at him. Screaming demands, Serrano-Ramirez told the victim if he ever told anyone about the vicious torture, he would be found dead alongside his mother. After learning of what Serrano-Ramirez had done, federal authorities began a surveillance operation on Serrano-Ramirez’ home. During that undercover monitoring, Serrano-Ramirez was videotaped not only packaging large amounts of cocaine, but also loading AK-47 rifles. When authorities executed a search warrant on the rental home, they seized an AK-47, 582 rounds of ammunition, body armor and small amounts of cocaine and marijuana, says<a href="https://fox17.com/news/local/ms-13-member-in-nashville-convicted-of-brutal-assault-with-rifle-plastic-bag-bleach"> Fox 17 Nashville</a>. The Department of Justice also says that they recovered a videotape from Serrano-Ramirez’ home security, which recorded the entire beating and torture. 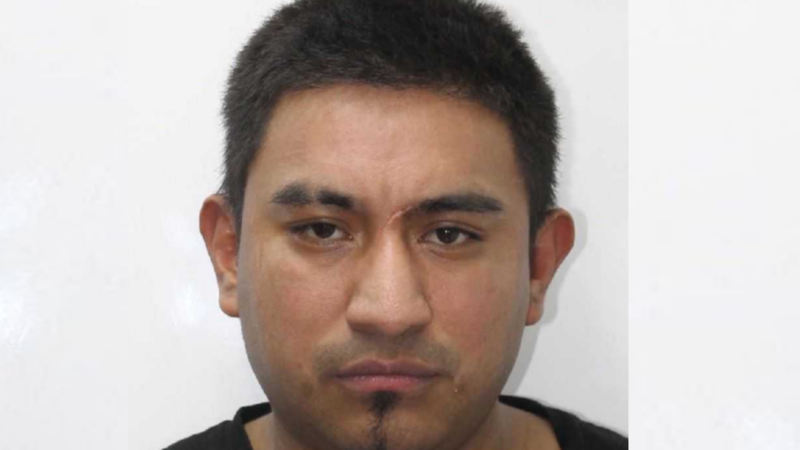 The Metro Nashville Police Department took Serrano-Ramirez into custody, where he sat awaiting trial. On Monday, Serrano-Ramirez was found guilty by a federal jury of using physical force to tamper with a witness; is being in possession of a firearm while being in the country illegally, and illegally re-entering the U.S. after previously being deported. He was also found guilty of cocaine distribution and firearms violations, according to the U.S. Attorney Middle District of Tennessee. On January 28th, of 2019, Serrano-Ramirez will appear for sentencing where he faces 30 years to life in prison, said the court. U.S. Attorney Don Cochran of the Middle District of Tennessee and Assistant Attorney General Brian A. Benczkowski of the Justice Department’s Criminal Division made the announcement. “MS-13 is one of the most violent and dangerous gangs in America, and the conduct that occurred, in this case, is further evidence of the gang’s ruthlessness,” said Assistant Attorney General Benczkowski. This case was investigated by the Bureau of Alcohol, Tobacco, Firearms, and Explosives; the Drug Enforcement Administration; Homeland Security Investigations – Immigration & Customs Enforcement; and the Metropolitan Nashville Police Department Gang Unit. Assistant U.S. Attorney Ahmed Safeeullah and Department of Justice Trial Attorney Matthew Hoff prosecuted the case. Great article! My son was injected with a radioactive substance that has a half-life of 5 years, and 8 months so far. All of the hospitals and clinics get in trouble for committing fraud by bringing in someone posing as a nurse to hurt people. My son was 14 years of age when the pediatrician had him injected. He gets bleeding blisters on his neck since 2014 if he gets a dental x-ray. I wish that there were surveillance on that Doctor! prosecuting them one by one won't work! our gov meeds to let good white people deal with these vermin and issue a "dead or alive" bounty on all MS-13. PROBLEM SOLVED.